This personal diary records the many small moments that constitute a life of harmony - with the self, the natural world, and friends, family and passersby. In these hours, we watch a wild plum blossom and the moon come up between two deodar trees; we hear a redstart whistle and the rain drum on a tin roof; we recognize the aftermath of loss and the consolation of old companions. 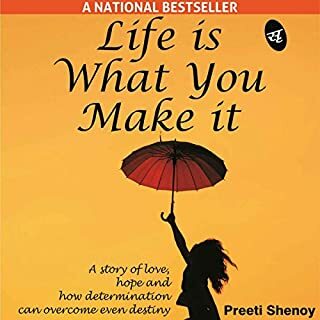 A Book of Simple Living is a gift of beauty and wisdom from India's most loved and most understated writer. 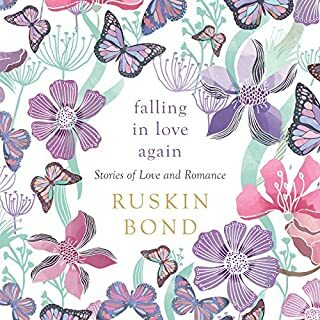 Suffused with warmth and passion, the stories in Falling in Love Again showcase the myriad variations of romantic love - fleeting, intimate, joyous, heartbreaking. 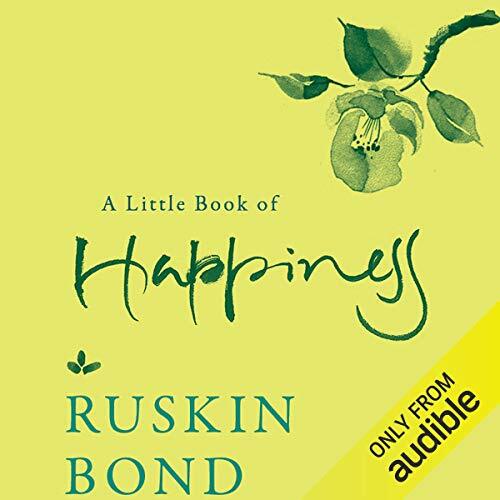 Featuring classic stories by Ruskin Bond, such as 'The Eyes Have It' and 'The Girl from Copenhagen', this stirring collection captures the range of feelings that are indubitably part of the infinite spectrum of love. 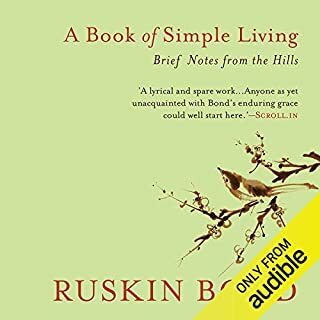 A lifetime of reading and writing, observation and contemplation is distilled in this comprehensive volume of the best essays, profiles and sketches by Ruskin Bond, the masterly and compassionate chronicler of the small details and lambent moments that capture the essence of a meaningful life. 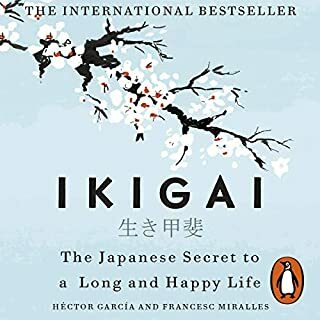 By turns thoughtful, humorous, keenly observed and wise, these essays span more than 60 years of his writing - from reflections on companionship and solitude to lyrical yet finely honed appreciations of nature to nostalgic evocations of bygone people and ways of life. 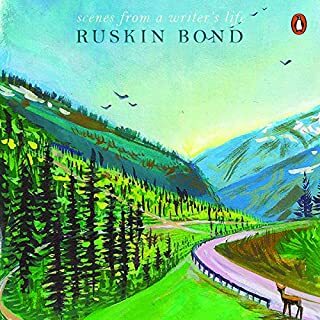 Ruskin Bond emerges again, with a delightful set of sketches set in and on the way to his beloved Mussoorie. 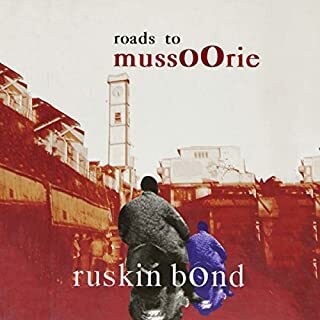 With an endearing affection and nostalgia for his home of over 40 years, Mr Bond describes his journeys to and from Mussoorie over the years, and then delves into the daily scandals surrounding his life and friends in the (not so) sleepy hill town. The pieces in this collection are characterised by an incorrigible sense of humour and an eye for ordinary - and most often unnoticed - details that are so essential to the geographic, social and cultural fabric of a place. A classic coming-of-age story which has held generations of fans spellbound. 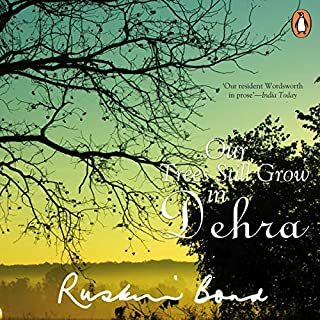 Rusty, a 16-year-old Anglo-Indian boy, is orphaned, and has to live with his English guardian in the claustrophobic European part in Dehra Dun. Unhappy with the strict ways of his guardian, Rusty runs away from home to live with his Indian friends. 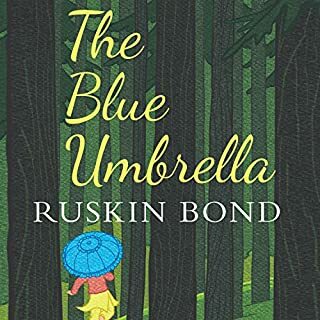 Plunging for the first time into the dream-bright world of the bazaar, Hindu festivals and other aspects of Indian life, Rusty is enchanted...and is lost forever to the prim proprieties of the European community. 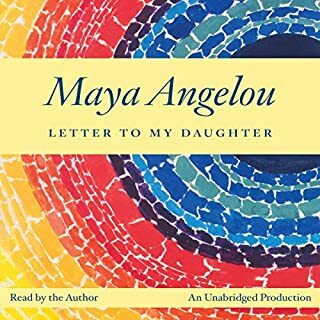 Semi-autobiographical in nature, these 14 stories span the period from the author's childhood to the present. We are introduced, in a series of beautifully imagined and crafted cameos, to the author's family, friends, and various other people who left a lasting impression on him. 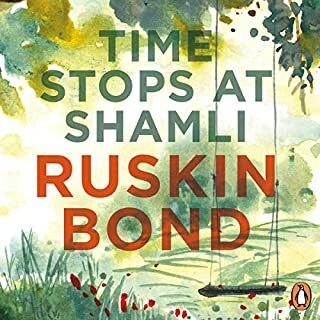 In other stories we revisit Bond's beloved Garhwal hills and the small towns and villages that he has returned to time and again in his fiction. In this brilliantly listenable autobiography, one of India’s greatest writers shows us the roots of everything he has written. 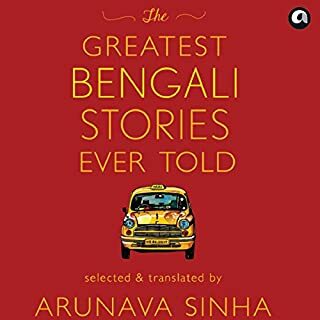 He begins with a dream and a gentle haunting before taking us to an idyllic childhood in Jamnagar by the Arabian Sea and New Delhi in the early 1940s - where he found material for his first short story. A search for companionship and security, undercut by a fierce independence and a tendency for risk-taking, would inform every choice he made for the rest of his life. 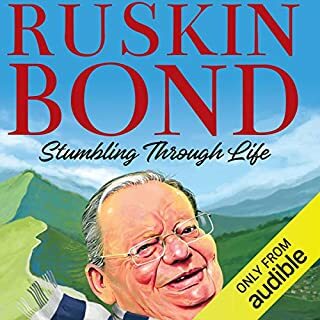 Ruskin Bond’s simple characters, living amidst the lush forests of the Himalayan foothills, are remarkable for their quiet heroism, courage and grace, and age-old values of honesty and fidelity. Residents of nondescript villages and towns, they lead lives that are touched by natural beauty as well as suffering - the loss of a loved parent, unfulfilled dreams, natural calamities, ghostly visitations, a respected teacher turned crooked, strangers who make a nuisance of themselves - which only reinforces their abiding faith in God, family, and neighbour. 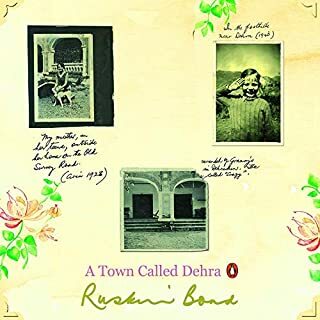 In this delightful collection, Ruskin Bond introduces us to the Dehradun he knows intimately and loves unreservedly - the town in which he had spent many years of his childhood and youth. 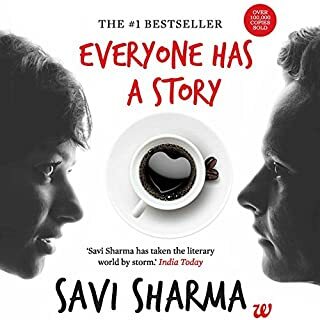 A town which, when he knew it, was one of pony-drawn tongas and rickshaws; a town fond of gossip but tolerant of human foibles; a town of lush lichi trees; charming winter gardens and cool streams; a small town; a sleepy town; a town called "Dehra". 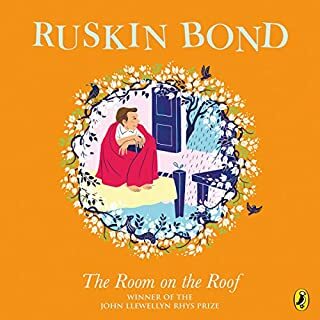 For over 60 years, since his award-winning debut, The Room on the Roof, was published, Ruskin Bond has charmed and entertained us with characters ranging from the animal world to humans to ghostly spirits, and his magic touch has often presented to us a world unhurried, tucked away in hills and valleys. What does it mean to be an octogenarian loved by the young and old alike? To be synonymous with the smell of pinewood and rambling mountain paths? In short, what is it that makes him Bond? 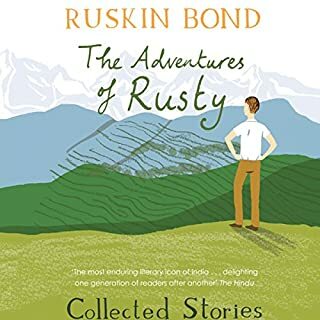 From the time he was a boy living with his grandparents in Dehra, surrounded by an assortment of odd animals, people and relatives, to when he gets sent away to school, then makes his way to London and becomes a writer, Rusty has had more adventures than we can count. The Adventures of Rusty brings together his best, funniest, most exciting escapades. There's Toto, the monkey that travelled in a bag in a train; life as a young writer in faraway London; and more. 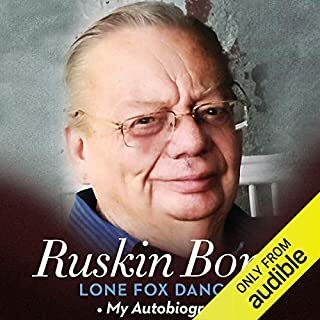 The making of a writer Ruskin Bond's first full-fledged autobiographical book covers his formative years,' till the age of 21. The world of Anglo-India, with all its conflicting pulls, comes alive as he tells his story. His earliest memoirs are bitter-sweet, and relate to Jamnager where he lives till he is six. The happy hours spent in exploring the Ram Vilas Palace grounds and playing with his younger sister Ellen and the palace children are overshadowed by the acrimonious relationship between his parents. Why be happy and how, and why not to worry if you think you are not. Why it is easy to be happy, and how you can miss happiness even if it stands before you. How a bird can fill you with joy and how a stranger’s smile can soothe you. Why happiness may not even be the word for what we really need. 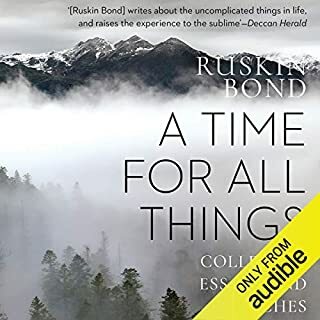 ©2016 Speaking Tiger (anthology copyright), Ruskin Bond (introduction copyright) (P)2018 Audible, Inc.